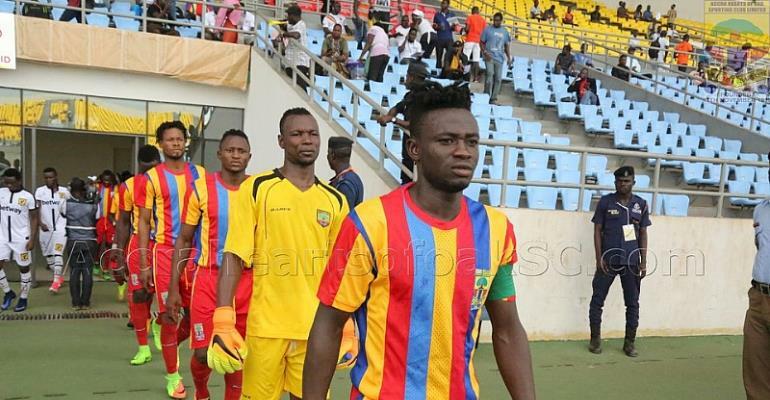 Skipper of Accra Hearts of Oak, Fatawu Mohammed has indicated that he is confident the team will defeat Ebusua Dwarfs on Wednesday, April 10, 2019, when the two teams lock horns on Match Day-4 of the Normalization Committee Special Competition. The Phobians are struggling in the competition having lost two successive away matches. They have only managed to pick out 3 points out of a possible 9 since the start of the competition which has the potential of taking the team to represent Ghana in any of CAF’s inter-club competitions. The Accra based club will, however, have the chance to get their campaign back on track when they host Dwarfs in mid-week. Whiles Hearts sits 6th on the log, Dwarfs are facing their own problems as well as they find themselves bottom of the table with not even a single point. Speaking to the media ahead of the crunch fixture, Captain Fatawu Mohammed insists the Phobians will ensure they prepare adequately for the match to ensure they return to winning ways when they face Dwarfs. “Playing friendly matches is different from competitive matches. When we are playing friendly matches then we come to the league it's different. We the playing body there is no pressure on us. “As we are playing everybody can see that we are creating a lot of chances but the goals are not coming. “We will keep on going to our drawing board and work on out finishing so that Wednesday we will start our winning ways again”, he said. Kick off time for that all-important match between Hearts of Oak and Ebusua Dwarfs is at 3:00pm at the Accra Sports Stadium.